MicroLine 2000 P- Processing Flat Substrates. 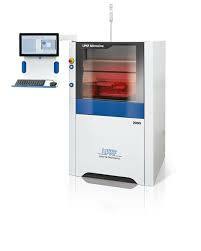 UV Laser Cutting systems display their advantages at various positions in the production chain. With complex electronics components, the processing of flat materials is sometimes required. The LPKF MicroLine 2000 P is optimized for these work steps. The MicroLine 2000 P seamlessly integrates into existing manufacturing execution systems (MESs).